How do I capture images from video? Fast video indexer is the fastest and easiest way to capture images from video. 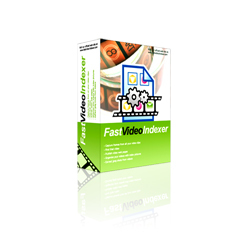 Get Fast Video Indexer NOW - $67 USD! You could do single frame capture in Windows media player but it is much harder than using FastVideoIndexer, takes a lot of work and a very long time for each movie. If you want to use Window media player you first need to open the movie file in the program. Next you need to change the advanced settings and make sure all incompatible hardware acceleration options are turned off, you might also need to restart the program to get it right. Changing these options will slow down video playback so you must remember to turn the options on again after you have finished you video captures. When you forget this you will get an unpleasant experience watching movies on you computer. Next you need to seek through the movie file and pause at intervals where you want to save the screenshot as a file. You need to go to the save menu. You need to enter a new filename for the image file. You need to save the actual file. You need to press play on the movie again and pause at the next place where you want to save a movie frame. As you understand this is a very time consuming and boring process and you will need to repeat if for each and every movie file you want indexed. If you use Fast video indexer instead you simply add the movie to the program and press start. When capture has completed you have captured video frames in a folder ready to use, the program even creates a web page for you with all the captured video screenshots and a large collection image with all captured video frames combined. Fast video indexer can manage this in less than 30 seconds for three full length Hollywood movies, less than 10 seconds per movie file, probably less time than it would take to just change the settings in Windows media player. We use industry-standard encryption to protect the confidentiality of your personal information. E-commerce services are provided by FastSpring.com, an e-commerce reseller. Download the fully functional free trial version now. and capture images from videos yourself today.